Caudalie.com (hereinafter the “Website”) is an e-commerce Website accessible on the Internet. It is open to any Internet user (hereinafter “Internet user”). 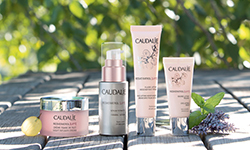 Via the Website, CAUDALIE offers cosmetic products for sale (hereinafter the “Products”) to Internet Users browsing the Website (hereinafter “Users”). To enforce these terms and conditions, it is agreed that the User and CAUDALIE will be collectively referred to as the “Parties” and individually as the “Party”, and that a User who has confirmed an order will be referred to as the “Purchaser”. The User’s rights and obligations will necessarily apply to the Purchaser. It is specified that the Products are intended for the User’s personal use, and have no direct relationship to the User's professional activity. Users who want to make a purchase on the Website declare that they have full legal capacity to do so. CAUDALIE cannot verify the legal capacity of the User or Purchaser. Accordingly, if a Purchaser does not have sufficient legal capacity to order Products on the Website, their legal guardians must assume full liability for this purchase, in particular the payment thereof. The purpose of these General Terms and Conditions of Sale is to set out, solely as a result of the relations they establish on the Internet and only on the Website, the rights and obligations of the Parties arising from the online sale of the Products offered on the Website. The Purchaser acknowledges that they have read these terms and conditions before placing the order, and that ordering on the Website entails the Purchaser's unreserved acceptance and prior complete agreement with these General Terms and Conditions of Sale and warranties, which prevail over any other document, save for special terms and conditions expressly agreed in writing by CAUDALIE. 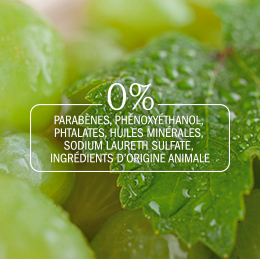 CAUDALIE reserves the right to amend these General Terms and Conditions of Sale at any time. The General Terms and Conditions of Sale applicable to any order are accepted by the Purchaser at the time the order is confirmed. These General Terms and Conditions of Sale are completed by the Personal Data and Cookies Charter. 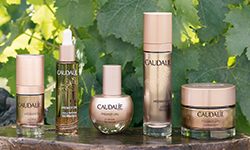 The Products offered for sale by CAUDALIE are those shown on the Website, on the day the User consults the Website, subject to stock availability. The photographs illustrating the Products are not contractually binding. The prices of the Products are shown in £. They include VAT applicable on the date of the order. 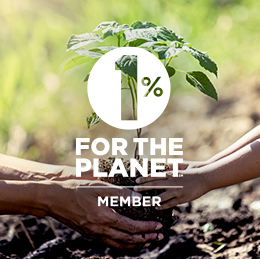 CAUDALIE reserves the right, which the User accepts, to amend its prices at any time, but the Products will be billed according to the base prices in force at the time the order is placed, subject to availability of the said Products. Any carriage charges will be billed as a supplement. The User may freely browse the different pages of the Website, without being obliged to make an order. If the User wants to place an order, they choose from the different Products in which they are interested, and show this interest by clicking on the “Add to cart” box. At any time, the User may: - obtain a summary of the Products they have selected or amend their order, by clicking on “my cart”. A summary of the order will then appear on the screen. If the list shown corresponds to the Products they have chosen, the User may continue their order by clicking on: “PLACE ORDER”. 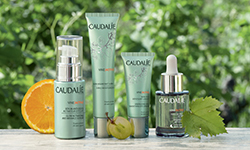 The User may identify themselves, either by entering their e-mail address and password, if they are already a customer or member of the MY CAUDALIE loyalty programme, or by accurately completing the form provided, on which they must enter the information needed for identification, in particular their last name, first name and postal address. The User is informed and accepts that entering any identification is proof of their identity and expresses their consent. During the ordering process, the User may amend and correct the data entered such as the contents of the cart, the delivery and billing address, before final confirmation of the order. Having noted the progress of the order, and once all the information requested has been completed, the User chooses the payment method they want to use to pay for their order. They must click on the “PLACE ORDER” to confirm their order. The User can pay for purchases via the following payment methods. All the information exchanged to process the payment is encrypted using the SSL protocol (Secure Socket Layer). This data cannot be identified or intercepted or used by third parties. These certifications guarantee that the operational processes and technical solutions used by Adyen comply with the strictest criteria in terms of data exchange security and protection of banking data. At no time will the User’s banking data transit via CAUDALIE's IT system. Once the payment is confirmed, the order is placed and becomes irrevocable, without prejudice to the User’s right of withdrawal (the terms of which are set out below). The User then becomes the Purchaser. The purchase order is saved in CAUDALIE's computer records, which are kept on a reliable, durable medium, and will be considered as proof of the contractual relationship between the Parties. The Purchaser guarantees that they are fully authorised to use the payment card used, that the card is valid and has access to sufficient funds to cover all the costs of the order. When the Purchaser confirms their payment, a summary of the order will be sent to them electronically, to the e-mail address entered by the Purchaser at the time of identification, prior to placing the order. If there is an error in entering the e-mail address or more generally the order summary is not received, CAUDALIE may not be held liable. This order confirmation will summarise the following information: terms of payment, delivery and, where applicable, delivery charges, the characteristics of the Product(s) ordered, the terms and conditions of the right of withdrawal; the address to which the Purchaser may send complaints, information about the after-sales service and the sales warranties. If the order confirmation does not arrive within 24 hours of placing the order, the Purchaser may contact our Customer Service Department via the Contact form. Likewise, if the Purchaser has any questions about previous orders, they may contact CAUDALIE using the same form. The order will be dispatched within 30 days at the latest, with effect from the day after confirmation of the order by the Purchaser. These charges are inclusive of all taxes. Not available for Spa and Boutique treatment vouchers. Upon receipt of the ordered Products, the Purchaser must check that the Products are compliant. Any anomalies in delivery (missing or broken Product, damaged parcel, etc.) must be notified by the Purchaser without fail on the day of delivery or at the latest the first working day following delivery, to the CAUDALIE consumer services department, by filling in the Return form. Any complaints made after this time limit will be rejected and CAUDALIE will be released of all liability. In the event of an anomaly relating to the parcel or the Product(s), and after notifying CAUDALIE within the aforementioned time limit, the Purchaser must return it/them in its/their original packing and packaging according to the terms of Article 5 “Right of withdrawal” defined hereafter and within fourteen (14) days of receiving the order. This return must be accompanied by the document printed from the Website, after completing the Return form. CAUDALIE reserves the right to check the returned Product(s), examine the reason for the request and replace or not replace the Product(s) free of charge, without owing any compensation. If the ordered product is unavailable, the Purchaser will be informed. With the Purchaser's prior agreement, a product of equivalent quality and price will be offered to them. If the Purchaser does not accept, they may, where applicable, be refunded within thirty (30) days of their payment, at the latest. CAUDALIE shall not be held liable in the event of failure to deliver or a delivery delay due to an event of force majeure, the action of a third party or a fault attributable to the Purchaser. In the event of a delivery delay, the Purchaser must notify this delay to the CAUDALIE consumer services department as soon as possible, via the Contact form. The Purchaser has a period of fourteen (14) clear days to notify CAUDALIE of their wish to withdraw from the contract. This time limit runs from the day on which the order is received. To exercise this right of withdrawal, the Purchaser must inform CAUDALIE of their decision to withdraw from the contract by post. For any Gift Card or Spa and Boutique Treatment Voucher purchased on the Website, the Purchaser also has a period of fourteen (14) clear days from confirmation of the Order to exercise their right of withdrawal, provided that the Gift Card or Spa and Boutique Treatment Voucher has not been used within this period. If it has been used, no right of withdrawal or refund will apply. The Purchaser may use the withdrawal form available here. If the Purchaser has created an account, they must log in and select the order to be returned, specifying the products concerned and the reasons for their return. They must then print the return form and send the parcel back with the form inside. If the Purchaser has not created an account, the same procedure is available here. The Purchaser must then return the Product(s) in its/their original packaging, at their own cost, within fourteen (14) days at the latest from notification of its decision to withdraw, to the following address: CAUDALIE - 1040 RUE DU CHÊNE DE LA CROIX - 45520 GIDY - FRANCE. If the fourteen (14) day period expires on a Saturday, Sunday, public holiday or rest day, it will be extended to the next working day. For health and safety reasons, and in accordance with Article L221-28 of the French Consumer Code, Products that have been opened by the Purchaser after delivery cannot be returned or refunded. If the above-mentioned conditions are met, CAUDALIE will refund the Purchaser for all the sums paid by the Purchaser, as soon as possible and within a period of fourteen (14) days at the latest from the date on which CAUDALIE was informed of the Purchaser’s decision to withdraw. 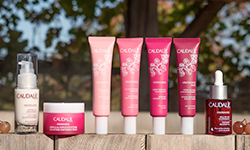 CAUDALIE reserves the right to defer the refund until the Product(s) has been received. The initial delivery charges are included, with the exception of the return charges, which are paid by the Purchaser. THE BUYER is informed that they have the possibility of turning towards a consumer mediator for disagreements that may arise in relation to the sale of CAUDALIE products. In compliance with the order of 20 August 2015 and the decree of application of 30 October 2015, the BUYER can refer to the CMAP – Centre de Médiation et d’Arbitrage de Paris – to resolve amicably through mediation any disagreement or dispute related to consumer rights, subject to article L612-2 of the Consumer Protection Code. Disputes that may not be subject to review by the mediator are those for which the request is clearly unfounded or abusive, or that has been recently examined or is in the process of being examined by another mediator or tribunal, or if the BUYER has submitted their request to the mediator more than one year after their complaint was submitted to CAUDALIE in writing or if the dispute does not fall within the domain of competence of the mediator, or finally if the consumer does not justify having attempted, beforehand, to resolve their dispute with CAUDALIE directly through a written complaint. To submit their dispute to the mediator, the BUYER can fill in the form on the CMAP website at: www.mediateur-conso.cmap.fr, or send their request by regular or recommended letter to CMAP Médiation Consommation, 39 avenue Franklin D. Roosevelt, 75008 PARIS, or send an email to consommation@cmap.fr. Each Spa and Boutique treatment voucher is valid for one (1) year from the date it is dispatched. When this period expires, any unused Spa and Boutique treatment voucher will be definitively cancelled for the Purchaser (or the beneficiary) and cannot be refunded. 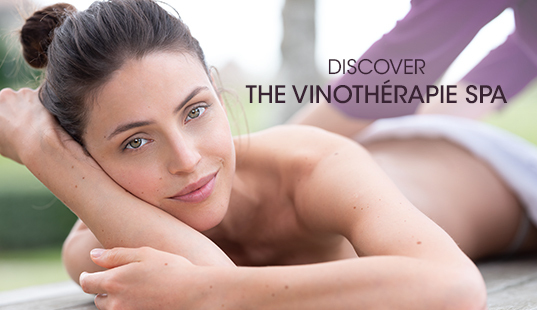 “A la carte” treatments are not covered by a Spa and Boutique treatment voucher. In order to use their Spa and Boutique treatment voucher, the Purchaser (or the beneficiary) must make an appointment with the Spa or Boutique selected in the order, which will inform them of the terms and conditions of the treatment. Failure to attend the appointment, postponement or cancellation of the appointment by the Purchaser (or the beneficiary) with less than 48 hours’ notice will definitively cancel the Spa and Boutique treatment voucher and it may not be refunded by CAUDALIE. 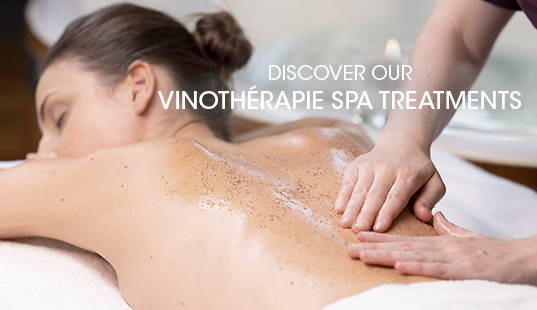 The User has the option to book treatments online for CAUDALIE Boutiques with a treatment room, according to a booking schedule open for two (2) months. To make a booking online, the User must go to the specific Spa Boutiques page on the Website, then select the Boutique of their choice. They can access a description of the available treatments at the Boutique and a schedule. The User selects a treatment, date and time slot, then clicks on “BOOK A TREATMENT”. The User is then asked to identify themselves, either by entering their e-mail address and password, if they are already a customer or member of the MY CAUDALIE loyalty programme, or by accurately completing the form provided, on which they must enter the information needed for identification, in particular their last name and first name. The User must then select a payment method to finalise the booking. The Purchaser will receive a confirmation e-mail, stating the date and time of the treatment, and the Boutique address. A Voucher to be presented at the Boutique will be attached to the e-mail. Subscription is a service only available on the Website, enabling the Purchaser to automatically receive one or more Products at a frequency chosen by them in advance. Subscription is a service applicable only to a selection of Products, which is defined by CAUDALIE and can be changed by CAUDALIE at any time. The Purchaser benefits from the warranty of legal compliance (Article L.217-4 et seq. of the French Consumer Code) and product defects (Article 1641 et seq. of the French Civil Code). 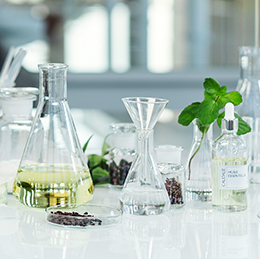 The Purchaser is informed that the guarantor of compliance of the goods is CAUDALIE, 6 Place de Narvik – 75008 Paris. If the Purchaser invokes the legal compliance warranty, independently of any commercial warranty, they have a period of two years from delivery of the product in which to act. The Purchaser is exempt from proving the existence of non-compliance for a period of six months from delivery of the said Product(s). This time limit is increased to twenty-four months for any purchase of new Product(s) from 18 March 2016. In the event of non-compliance, the Purchaser may choose between replacement or refund of the said Product(s), subject to the conditions of Article L.217-9 of the French Consumer Code. If the Purchaser invokes the legal warranty of product defects, they may choose between cancellation of the sale or reduction in the sale price. CAUDALIE respects your concerns about protection of your privacy and personal data. Your personal data will be collected and processed by CAUDALIE. In the context of online sales, it is mandatory to enter some of your personal data, as this information is necessary for processing and delivering the orders and issuing the bills. This information is strictly confidential. Failure to enter this information will automatically lead to rejection of the order. Some data may also be used to send you information and/or promotional offers on the brand’s products. In accordance with the provisions of the “Informatique et Libertés” law (French Data Protection Act) of 6 January 1978, amended by Regulation (EU) 2016/679 of the European Parliament and of the Council of 27 April 2016, the User has the right of access, information, objection, correction, restriction, portability and removal of any data concerning them. The Purchaser also has the right to draw up and send instructions concerning the outcome of their personal data after their death and to bring a claim before a competent authority. To exercise one or more of these rights, the Purchaser must fill in the Contact form available on the Website. All CAUDALIE's commitments regarding the protection of Personal Data are available on the Personal Data and Cookiespage. CAUDALIE will not be held liable in the event of total or partial failure to fulfil its obligations under these General Terms and Conditions of Sale, if the said non-fulfilment is attributable to a third party, the fault of the User or the Purchaser, or caused by an event of force majeure, as defined by Article 1218 of the French Civil Code, by any event that is beyond the control of CAUDALIE or by an Internet-related hazard. If one or more terms of these General Terms and Conditions of Sale are held to be invalid or declared as such pursuant to a law, regulation or following a final decision by a competent court, the other terms shall retain their full force and scope. These General Terms and Conditions of Sale and the order summary sent to the Purchaser form a contractual whole and constitute the entirety of the contractual relations between the Parties. Should these documents contradict each other, the General Terms and Conditions of Sale shall prevail. CAUDALIE, the Website, and all the elements that comprise it (such as trademarks, logos, photographs, images, illustrations, texts, slogans, videos, structure of the Website) are the sole property of CAUDALIE, which is solely authorised to use the intellectual property rights and personality rights relating thereto, or to the holder of the intellectual property rights concerned. Any full or partial reproduction and/or representation, use, adaptation or modification of the Website or one of the elements comprising it, in any medium whatsoever and any form whatsoever, is expressly prohibited, unless previously authorised in writing by CAUDALIE. 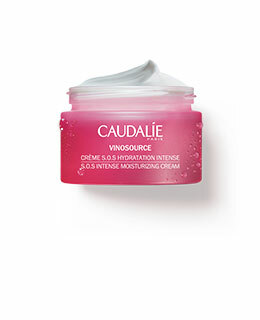 Hyperlinks to the Website may only be created with the prior, written permission of CAUDALIE. 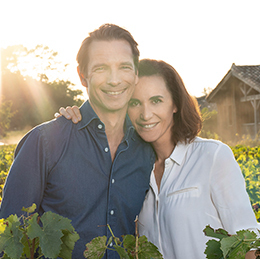 Sales of CAUDALIE products are governed by French law, regardless of the Purchaser's country of residence and the place where the Order is made. Any dispute relating to the existence, interpretation, performance or termination of the contract between CAUDALIE and the Purchaser, even in the event of multiple defendants, will, if an amicable agreement cannot be reached, come under the sole jurisdiction of the competent French courts, pursuant to the regulations set out in the French Code of Civil Procedure.